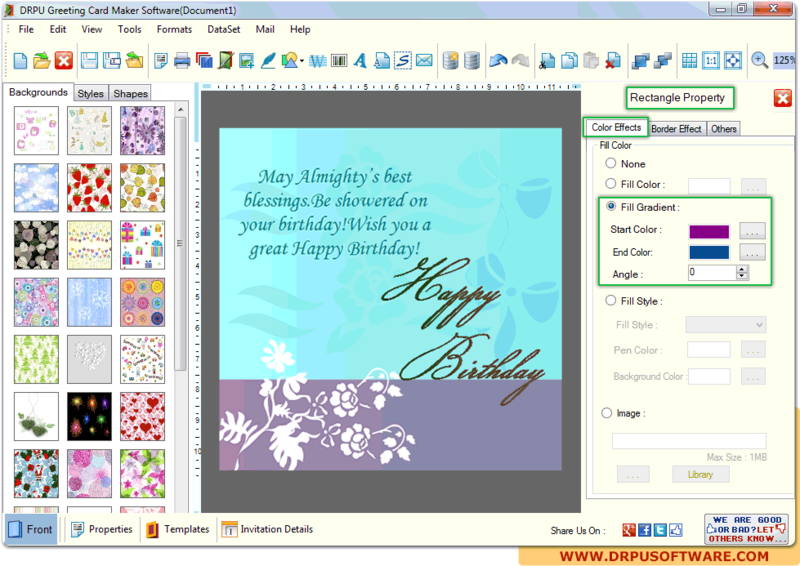 Design Greeting card using one of the above option. 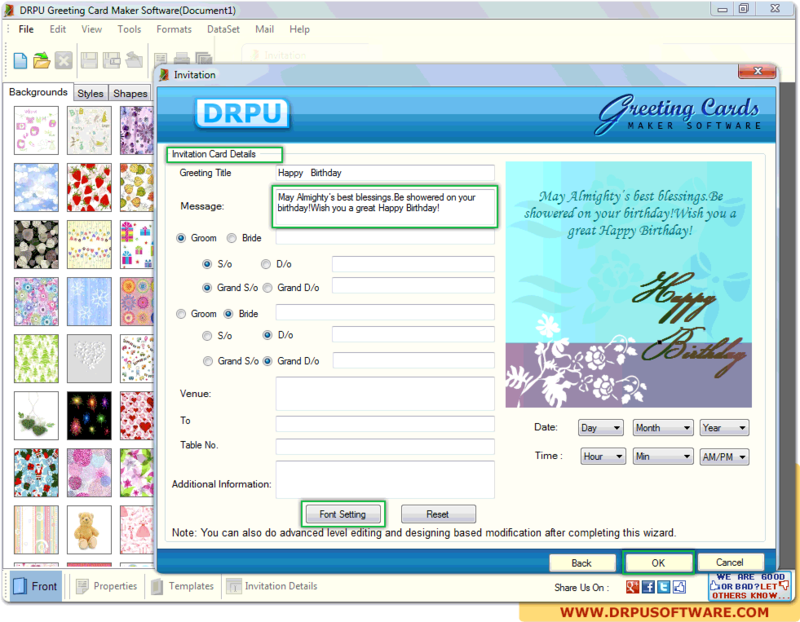 Select Card Type, Card category and background from given samples to create desired greeting card. 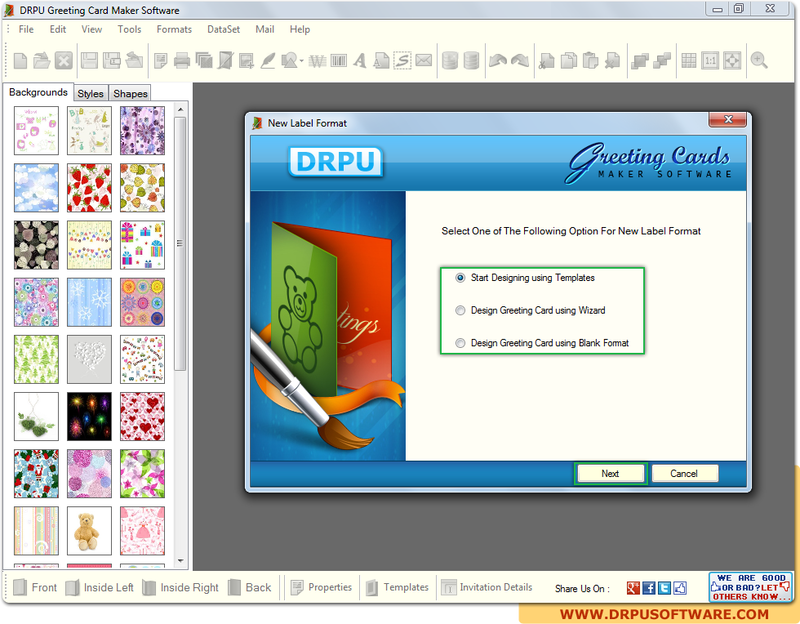 Enter all details as per need and select font from "Font Setting" button. 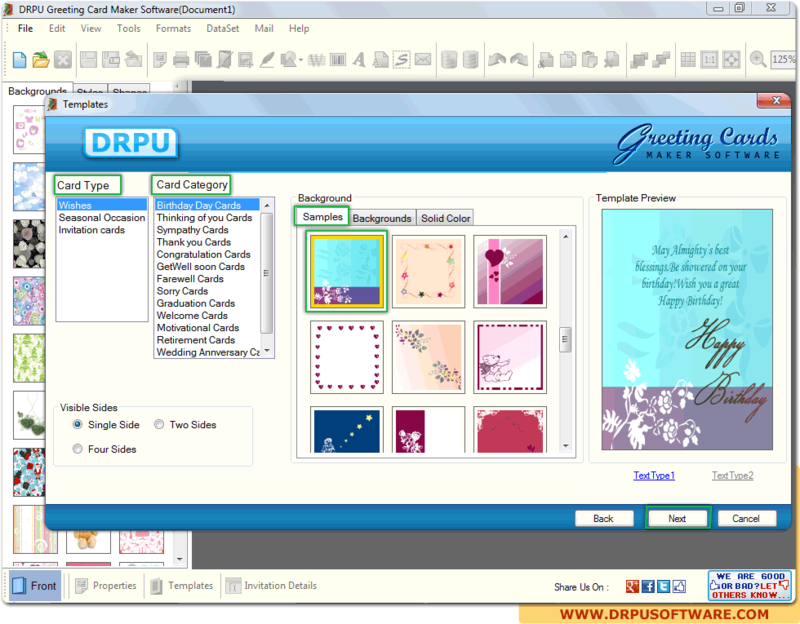 Select properties of card including color, image, background effect etc to design greeting card.